If you are in Dartford DA1, you can rely on Magic Carpet Cleaning to solve your problems with dirt and blemishes. You will receive the highest level of quality service at the best price. 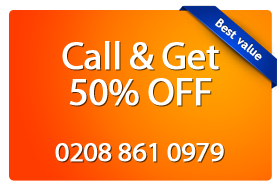 Don’t wait to call us at 0208 861 0979 and you will get free price quote. Why Choose Magic Carpet Cleaning Services? We apply eco-friendly solutions safe for the health of your family members 100% harmless preparations. Your trust is important to us and we are trying to build sustainable relationships with our clients so we do not have hidden conditions and fees. We keep track of all innovations in the field of professional cleaning and apply the latest and most effective techniques in practice. We remove all kinds of soil and stains, whether new or old. We would like to meet the highest expectations and we can boldly give you a 100% guarantee of the quality you will get. 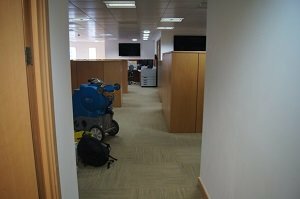 If you are sensible to different kinds of germs and microbes, the Steam Carpet Cleaning method is just for you. It is a good solution for people with lung diseases, allergies and for families with children and pets. Our professional cleaners spray a 100% biodegradable detergent under high temperature in your carpet with the help of professional equipment. Hot water extraction is the best way to defeat germs. Our employees have rich experience in using the method and are personally convinced of its effectiveness. If you care about the environment, choose the dry powder method to maintain your carpets and rugs. The detergents we use are biodegradable and child safe. Along with the fact that the dry powder cleaning approach does not use any water makes it suitable for places with high human visitation. This method prevents the formation of mold because of the lack of humidity. So you have clean floors with prolonged life. Our cleaners follow strict instructions and we expect them to treat our clients with care and to respect them and their needs. Our team of specialists can remove all kinds of stains, coffee, traces of pet urine, wine, food, chewing gum, chocolate, etc., from all kinds of surfaces – wool, cotton, bamboo, coir, hemp, jute, sisal, nylon, and polyester. Find your best partners against stains and spots at 0208 861 0979!